London-based design firm 3Coil uses scalpels instead, finding the blades tough, handy and “incredibly useful around the studio,” so decided to design their own version. They came up with the Crane Knife, an elegant and portable folding design. “The “Crane” was the first knife we made, and it proved so useful in our day-to-day lives, we never left home without it. We thought that its small size would mean it would only be used as an emergency back-up, but the more we used it, the more we realized its small size was its main strength – and it is now our ‘go to’ tool for all jobs requiring a sharp edge”. Their folding design solves my biggest gripe about the standard X-Acto, which is that there’s no easy way to put the blade away. The Crane’s convenient folding form factor is a great idea and allows you to safely keep the knife in a pocket. Next 3Coil designed the Puna multi-tool. 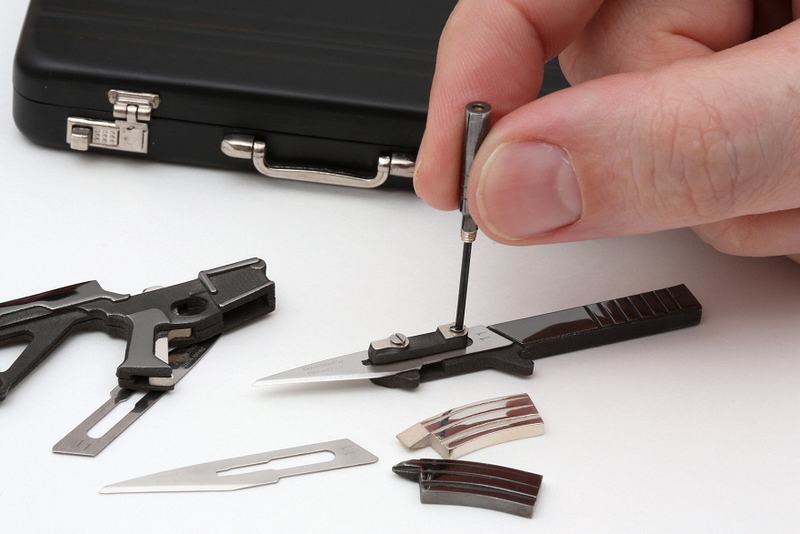 While the Puna will have utility for some, here we see where the X-Acto has the edge: It’s easy to change the blade on an X-Acto with just your hands, whereas the Puna requires you to unscrew the mini-screwdriver, remove two screws, swap the blade, then retighten the two screws. That’s five screwing steps for the Puna versus two for the X-Acto. I know it seems minor, but I find that when there are added steps between using a dull tool and a sharp one, I’ll often subconsciously put off getting to sharp. The Kickstarter campaign for both the Crane and the Puna is underway, and at press time they were at $67,812 in pledges towards a $106,720 goal, with 37 days left. And if you like such foldable things you will be amazed by one of the most compact folding bicycles in the world.